Another lovely day here in Kansas. 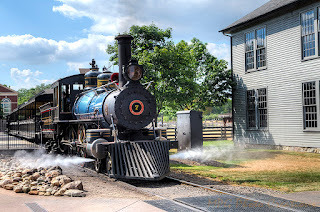 My image today goes back to Michigan and the Henry Ford Greenfield Village. This is No. 7 pulling away from the main station as you enter the Village. 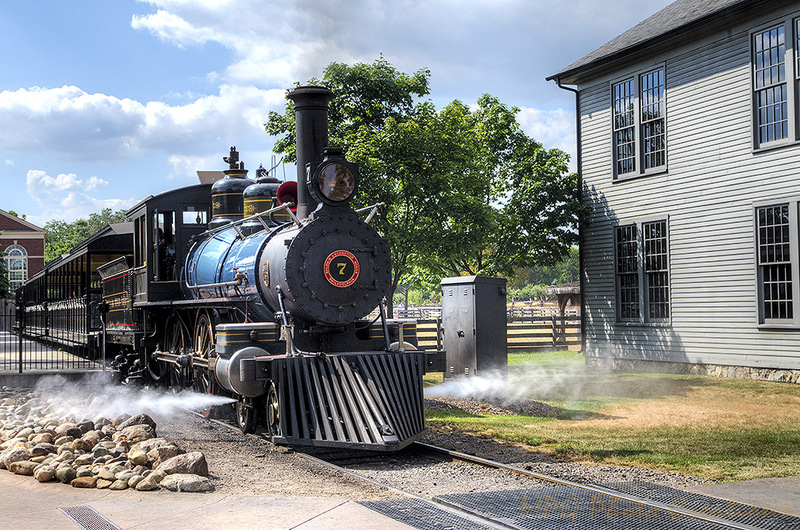 This was Henry Ford's personal locomotive for trips and has been beautifully restored. I love the blue color. It's a coal burning locomotive but they run it very cleanly, you hardly ever saw black smoke.